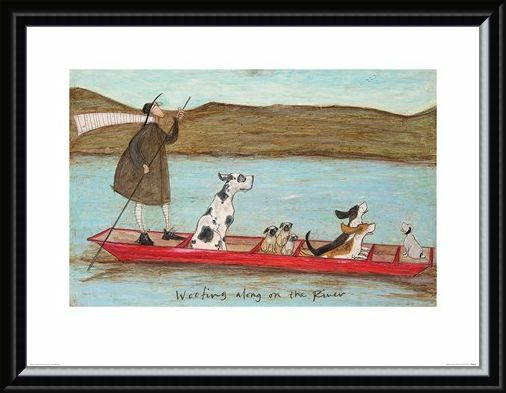 Set sail with Mr Mustard, as he steers his gondola along the river for a peaceful afternoon with his dogs. This beautiful print comes from the amazing Sam Toft, the hugely talented UK artist behind characters Ernest Mustard, Violet Mustard and their eccentric pets and friends. 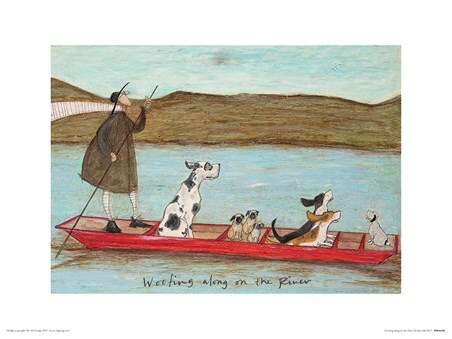 Entitled 'Woofing along the river' this beautiful print will look right at home on your wall if you are a 'Gongoozler' - that's posh talk for a person who enjoys watching activity on the canals. 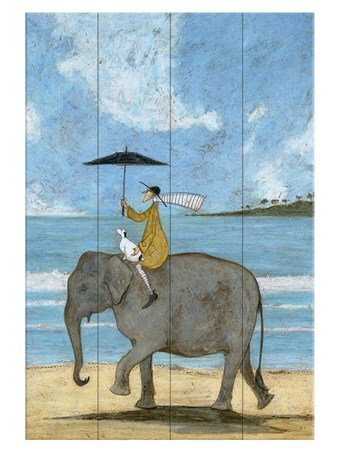 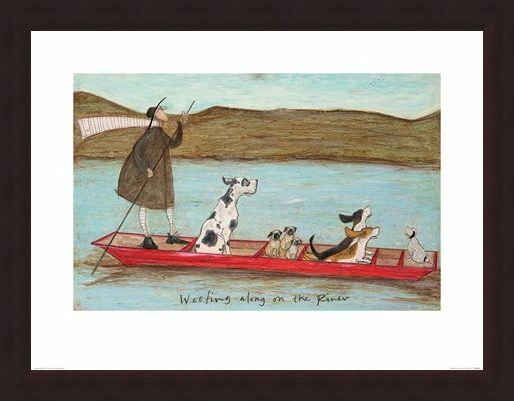 This print will be a great addition to anyone's Sam Toft collection, or a great way to start one off. 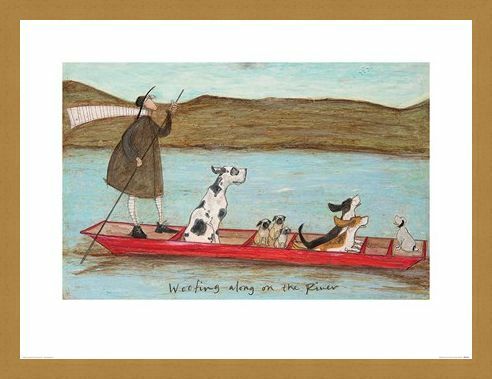 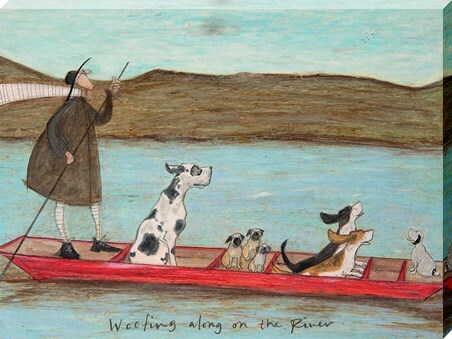 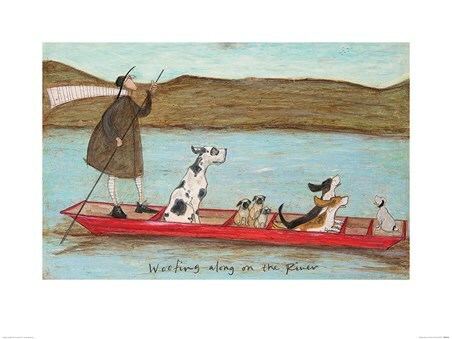 High quality, framed Woofing along on the River, Sam Toft print with a bespoke frame by our custom framing service.